Universitatea de Vest din Timișoara (UVT) / West University of Timişoara (WUT) is the main higher education institution and research center in Western Romania. Its community comprises roughly 16000 students and over 700 academic staff. It is a comprehensive university including 11 faculties with their respective departments, as well as a Department of Teacher Training. 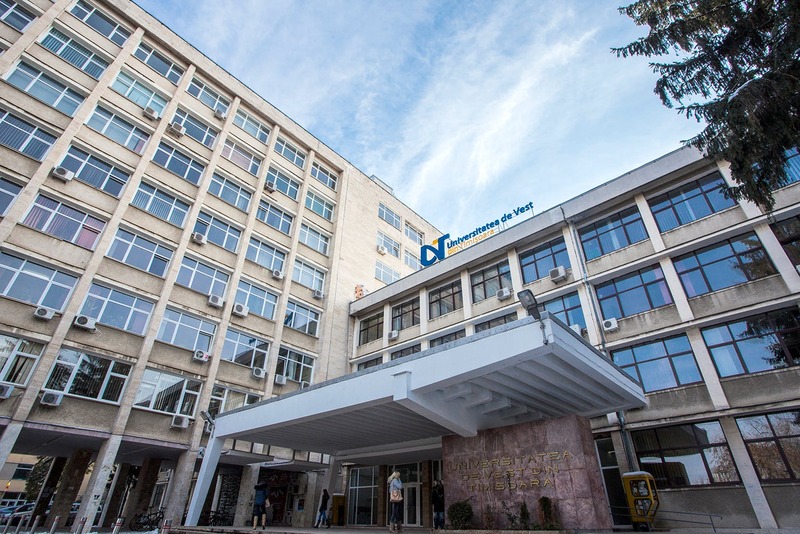 West University of Timisoara offers students the opportunity to combine theoretical and practical knowledge. The university is intensively involved in processes of internationalization. Our faculties offering over 20 study programmes in foreign languages. 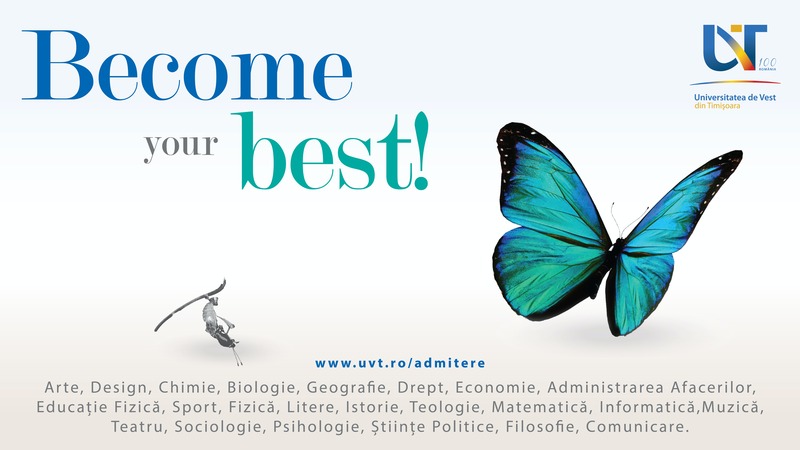 The faculties functioning within the framework of UVT offer nationally accredited study programmes at Bachelor, Master and Doctoral level in the following subject areas: Arts and Design; Chemistry, Biology, Geography; Economics and Business Administration; Law; Letters, History and Theology; Mathematics and Computer Science; Music and Theater; Physical Education and Sports; Physics; Political Sciences, Philosophy and Communication Sciences; Sociology and Psychology. 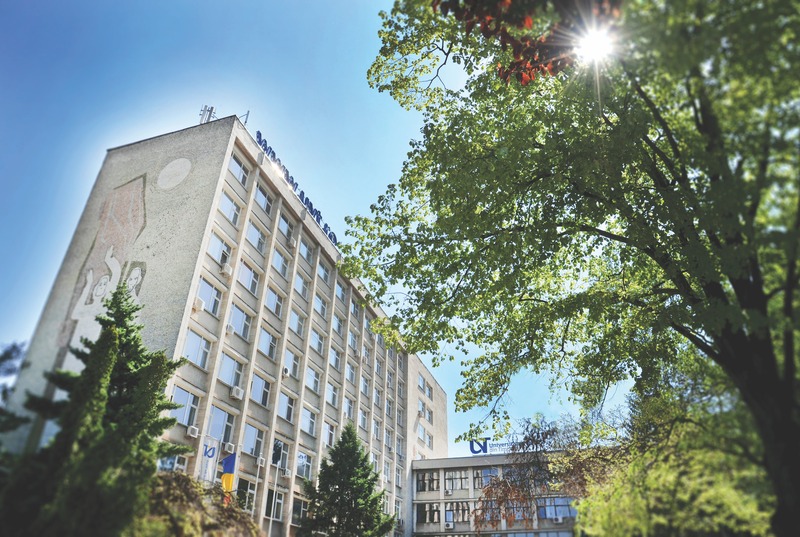 On a yearly basis, West University of Timisoara implements over 100 research projects, out of which around more than 30% have a strong international dimension. Fostering a multi- and inter-disciplinary approach to higher education and research, with a clear focus towards the internationalization, WUT has over 380 bilateral agreements fostering exchanges in the Erasmus+ programme and over 180 other bilateral agreements with higher education institutions worldwide. 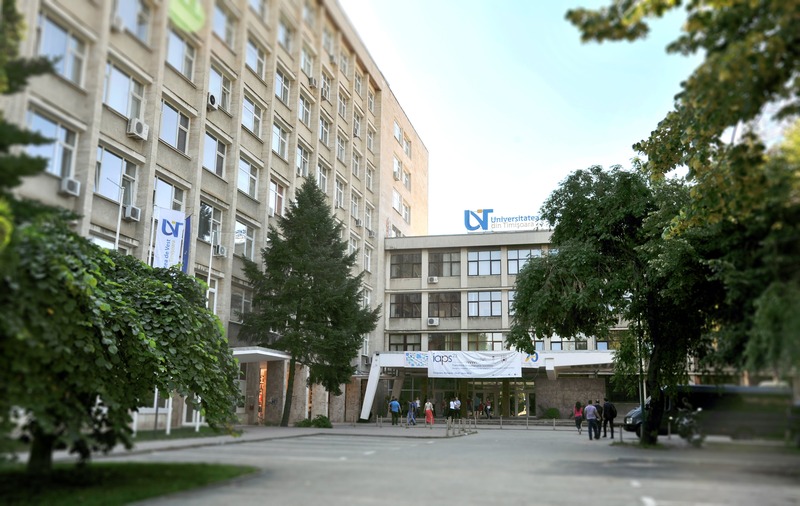 Highly focused on the internationalization of curricula, West University of Timisoara is more and more oriented towards opportunities for graduates’ absorbtion in a globalized labour market. The university has a modern and fully-equipped library, as well as various language and culture centers (Chinese, Portuguese, French, German, Austrian, Italian, Spanish, Serbian, etc). Timişoara is not only a cosmopolitan city highly connected to the rest of Europe, but also the city with the highest internet speed in the world. The student campus is located in the heart of the city and is in itself an attraction, with many opportunities for leisure and living.